Congratulations on gaining your qualification with UK Versity! You have joined a very exclusive group of people who have taken the initiative to improve their skills and seek out opportunities themselves. Now you have the chance to join our alumnus programme. This will give you access to amazing materials, news on courses, and exclusive events. By signing up as alumni you will have free access to a number of ebooks, lectures, guides, and articles that are exclusive to UK Versity. You can top up your knowledge in your own time, downloading ebooks and other materials on the go. Many of our students live and study overseas. Through the alumnus you will be able to access visitor visa letters and invites to UK Versity programmes, making it easier for you to study or stay in touch with us. One-off guest lectures held throughout the year will be made available for free to alumni. This is another great opportunity to refresh what you learned studying with us and maybe even learn something entirely new. You may even access lectures on courses you have considered taking with us in order to better decide if it’s for you. Through our network of alumni and business associates, you will be able to access career opportunities. Through networking with your fellow alumni or former tutors, you can find out about jobs and career progression first hand and get into contact with talented people who could enhance your business. You can keep your UK Versity email account and still send and forward emails. You will receive a privilege card that will award you discounts on courses. If you’ve spotted another UK Versity course that looks good to you, then signing up as alumni might make it more affordable for you. The alumni network will keep you in touch with teachers as well as students. This means being able to continue speaking to tutors after the end of your course and having connections with other tutors. Would you like to know about Annual Alumni event? 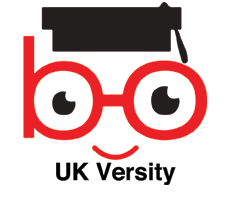 Would you like to receive the bi-annual UK Versity newsletter via e-mail? Yes, I would like to receive the bi-annual newsletter via e-mail! I consent to having UK Versity store my submitted information so they can respond to my enquiry.